Please note that there are no returns on electrical. 19" x 15-1/2" with 2-1/2" inserts. 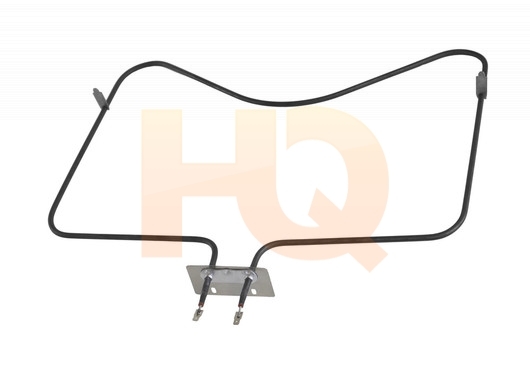 Whirlpool Genuine OEM WP9750213 Range Oven Bake Element. This element is 19" wide x 15-1/2" long and has 2-1/2" inserts. This element is 2500 watts and 240 volts. The bake element is at the bottom of the oven and supplies the heat to baking. This part works with the following brands: Whirlpool, Roper, Admiral, Maytag, Hardwick, Jenn-Air, Estate, Magic Chef, Crosley, Inglis, Norge, Modern Maid, Amana, Kenmore, KitchenAid, Caloric, & IKEA.